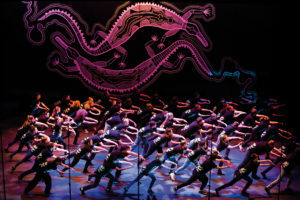 Moorambilla Voices is a much loved and nationally recognised unique choral programme. It is a cultural institution in rural, remote Western NSW Australia. For the past 11 years, it has facilitated an extraordinary opportunity for children to engage with high-calibre music making, dance and art in their own region. 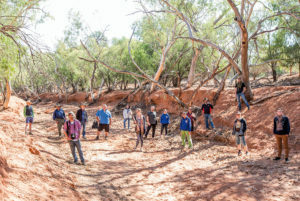 Delving into the stories, life experiences and rich cultural heritage of the region, Moorambilla Voices has unearthed people’s potential and given them a vehicle with which to express it. Choirs, as we all know, are an incredibly positive catalyst for social change. The three choirs of Moorambilla Voices, our regional primary-aged girls’ choir, our regional boys’ choir and our high school ensemble, called MAXed OUT, each bring their unique gifts to every performance, rehearsal and recording that we have. But is it more than just a choir? And what are the critical factors that make this ensemble so life-affirming? The energy from the Australian landscape in our region is palpable, and it is instrumental in shaping every aspect of our programme. The vast, intense blue sky; the gum trees; the rivers; the ancient sea beds; the red earth; rocks and black dust; and of course the heat! The humour and resilience of the people in this part of Australia make the distance and isolation seem like small barriers. This is a region that only has three trained music teachers, yet geographically it makes up over one-third of the state of NSW. Here sport is king; boys certainly do NOT sing “high” or dance; and there is no primary classroom or school choir at all in any of the 63 schools. 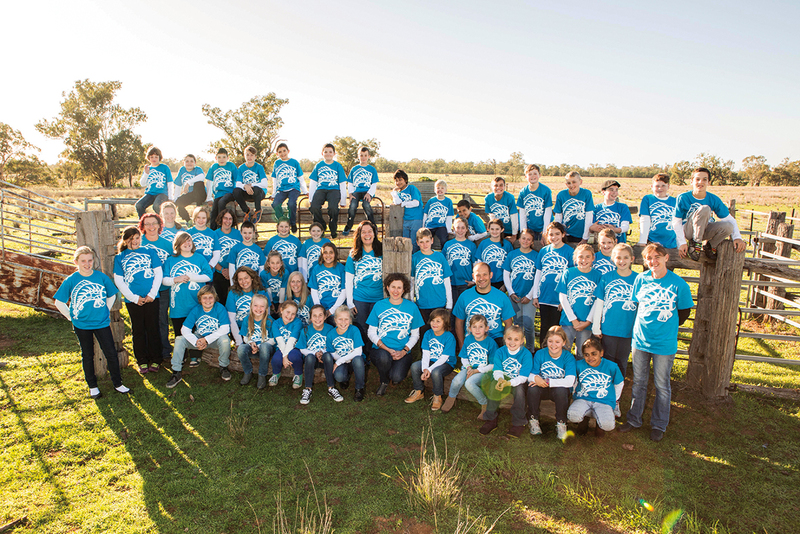 Moorambilla Voices is the only choral or arts-based programme to have survived beyond three years in this region. After eleven years, it is thriving. Why? Perhaps it is because Moorambilla Voices is now not “just a choir”. It is now a proven programme for children between 8 and 18 years of age, which is entirely devoted to the pursuit of artistic excellence. It gives a safe space for all (regardless of identity, race or financial circumstance) to expand their artistic potential in the fields of choir, dance, visual art and sculpture, as well as indigenous language and culture. It is an integrated art programme that looks holistically at children and supports and empowers them to think beyond their current circumstances. It meaningfully connects them with their peers and introduces them to the lifelong joy of choral singing. The halo effect of this programme extends to the parents who volunteer as supervisors; the regional artists, both established and emerging; and our incredible professional artistic partners. It also extends to our cultural leaders and to the families of these children, and beyond….even to the catering staff! All of these people have seen, firsthand, the importance of choirs. More incredibly, they independently articulate to anyone in governmental and educational circles that this programme is vital to our country’s social and cultural fabric. They are now proudly engaged in concert programmes entirely devoted to new work by leading and emerging Australian composers. This is nothing short of a miracle in rural Australia! This cultural shift in conversation speaks volumes to people’s deep need to have their sense of self, space and worldview celebrated. Moorambilla does this in an integrated and holistic way, and it empowers people to share and connect across all demographics. By engendering the pursuit of excellence as a lifelong ambition, we are also teaching resilience, self-awareness and the power of artistic collaboration and teamwork. All this plus a lifelong respect for the arts, artists and the power of choirs to be their source of happiness throughout their lives. I have often been asked; does this cross-art form focus, weaken or undermine the choral aspect of the Moorambilla Voices programme? And by inference – by being “more than just a choir”, is Moorambilla Voices indeed a choir at all? These are all valid questions, yet interestingly I see only incredible positives in the richness that comes from this style of collaboration for our choirs. It has been my experience that with clear artistic direction and exceptional artistic partners, trust between artists facilitates a collaborative synergy that is greater than the sum of the individual parts. This synergy is palpable at our residency camps. The focus, the energy and the willingness to listen enables clear artistic reactions from all involved. Within this incredibly supportive context, we create a different ensemble every year, which is artistically flexible, constantly engaged and capable of co–creating incredibly sophisticated works. The choral component of the programme is thriving because of it, and we are serving our region’s rich cultural legacy in an empowering and electric way. 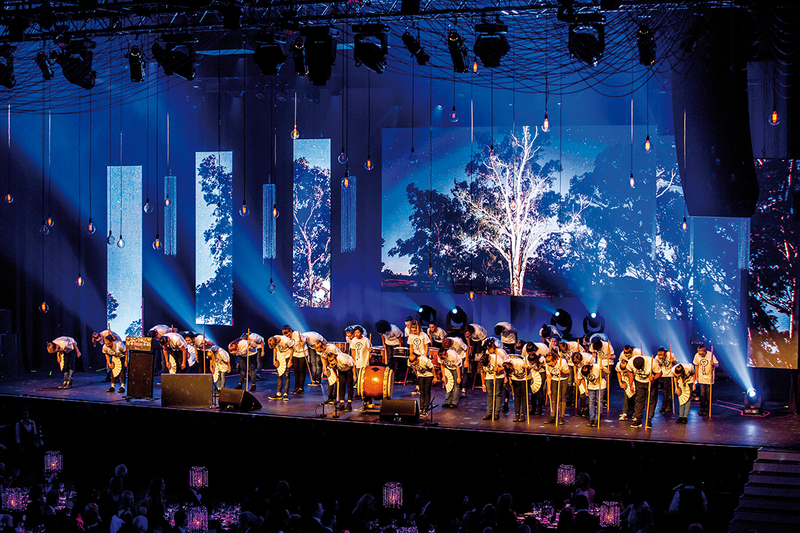 Moorambilla Voices proves that placing professional artists of the highest calibre next to children and youth is both artistically satisfying and empowering for all. It is one of the greatest achievements of this programme, and it positively reiterates that the concept is not only possible, but also necessary for all of us and our ongoing artistic development. Yet still I am asked: What do dance and Taiko bring to your choirs? In short, more movement means a better choral sound, better physical engagement within the choir and a more “present” physical presence on stage for many. Other outcomes are greater rhythmic capacity; a deeper respect for other ensembles; and an understanding of the intense listening and watching required to make an ensemble great. These skills are immediately transferable to the choral context. Having an exceptional vocal ensemble like The Song Company to mentor our singers has meant that they not only have clear vocal models, but also they have emotional and musical support (and our composers recognise this and accommodate for it in their writing). Having singers of this calibre truly care and support the participants has been life-changing for many—especially in MAXed OUT. For our primary children, having time allocated each day to an activity based in visual art allows them to process the enormous amount of new musical material they are given, and it has been an incredibly beneficial addition to their daily schedule. These young singers create sculptures and other works of art, and then they synthesise that process and structure into their choral rehearsals. It is yet another way to scaffold artistic process and learning. 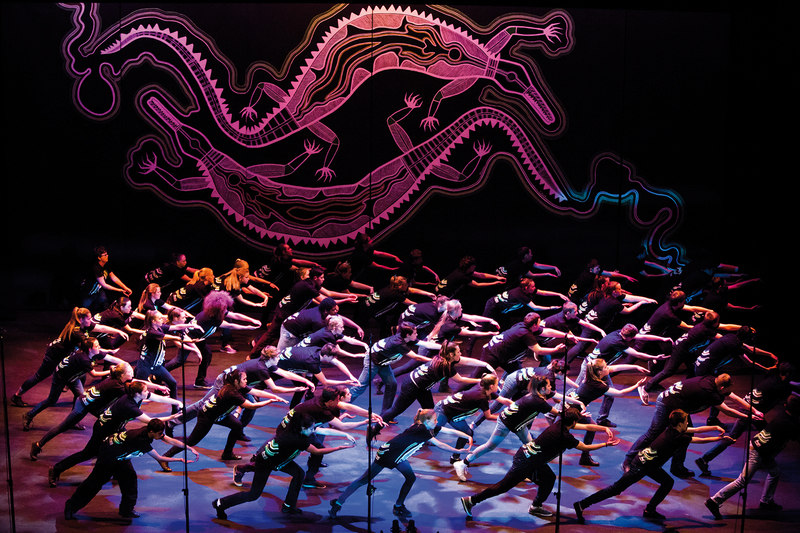 After 11 years, the choirs of Moorambilla Voices see it now as completely normal to engage in “live time” with composers, choreographers and visual artists to create new work about their stories from their region. They see music and choirs in particular as living, breathing organisms that are incredibly relevant to their lives. The concept of choirs simply standing and delivering a pre-ordained performance by composers they have never met is totally foreign to them. Many of you reading this will acknowledge that this is a rare and privileged artistic scenario. But it is one that I strongly feel they deserve. When all else around them has such low expectations, this opportunity is one cherished by all. Clearly this collaborative model has not come without challenges to maintain its standard and scope. Some of the initial years have been very challenging due to various factors: the arduous process of universal workshop experience before selection; the associated artistic and administrative costs to engage exceptional partners; and the sheer scale of the programme. The landscape – There is no escaping the enormity of the Australian bush landscape, and the artistic energy that comes from this part of the country is unique and incredibly powerful. The landscape affects the energy of the children, their intense physicality, the robustness of their sound and their approach to learning. The people – The lynch pin of our organisational structure is our regional women. Our two regional Moorambilla mums, our General manager, our cultural elders, and our singers, all come from this landscape. Their capacity to handle adversity with humour and lateral thinking is vital as we solve the logistics of transport, fundraising and sustainability. Moorambilla Voices’ cultural and emotional compass comes from our people. They live our three pillars: excellence, equity and opportunity for all. The calibre of artistic partners – Partnering children and youth with exceptional professional artists is not unusual—but our standard and scope certainly is. Rather than compromising their capacity in an educational setting, we engender the notion of natural excellence. 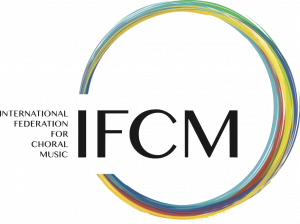 Our successful ongoing partnerships with leading arts organisations have created a new vigour in the wider choral scene and given permission for others to emulate this cross-art form model. The annual artistic cultural immersion – This is an incredible experience for all of our artistic staff. Every year we leave our phones off for five days and submerse ourselves in the rich stories, traditions and worldview of indigenous Australia. Views are shared generously from many perspectives, and, under the night sky after intense days, we have a shared vision and set of experiences that informs our collaboration. The skills-development tour: equity of access — From incredibly humble beginnings, our skills-development tour has provided over 15,000 children in our area with the opportunity to do free workshops in their own school, removing all barriers to experiencing the joy of singing (short of flood or fire!) In any one year I see 2,500 children in order to select up to 300 who will participate in the programme at the next stage: the residency camps. This one-hour workshop focuses on music literacy, part-singing and the establishment of a good, clear head voice in the trebles. In the high schools, we frame the acceptance of the changing voice as a normal part of life, whilst focusing on teamwork and rhythmic literacy. Parents, educators and community members see firsthand the skills needed to read, create and perform music. 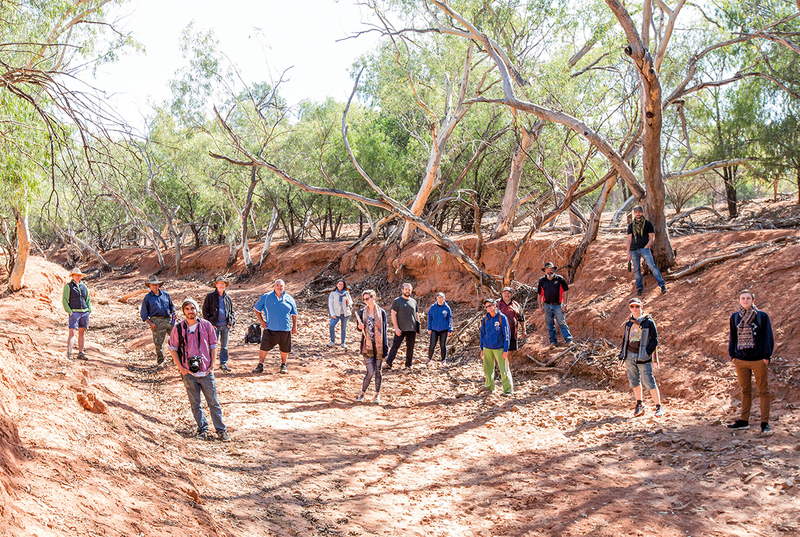 The residency camps in Baradine – Here is where the real work begins. 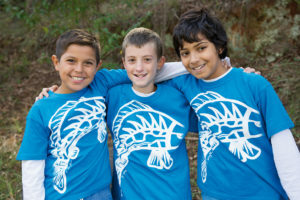 In this safe and loving small community all participants stay for four-day camps in the cooler month of August, creating not only exceptional performances, but also lifelong friendships with their regional peers. They meet again in September and focus on “stepping up” to the final performance with the professional ensembles. The artistic vision – It is my belief that regional and remote communities are capable of greatness. We have done this by developing a culture of collaboration, generosity and a truly open mind to what a choir can be, artistically and culturally. In doing so, Moorambilla Voices has created positive conversations around identity; cultural normalcy; and our emotional need to connect with the legacy of knowledge, stories and wisdom of the first people in our nation people. It has normalised singing in a region that had forgotten it was possible. It has given people permission to dance, drum, paint, sculpt and laugh. Long may this continue!